Providing children’s dentistry in Moreno Valley, Dr. Deza’s Dental Office takes a warm, gentle approach to instilling good dental habits for our pediatric patients. Dr. Rocio Deza and team combine patience, compassion, empathy, and education to promote happy and memorable experiences for young patients. 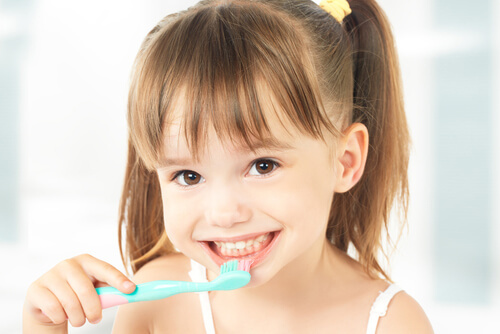 Establishing good oral hygiene early on and preventing dental fear is an important aspect of setting children on the path to maintaining good oral health throughout adulthood. Our unique approach enables us to treat even the most resistant patient who may have been refused dental care in the past or patients who may have been referred to pediatric specialists. In treating little ones, it’s important to take the time to explain procedures, tools, and all of the intricacies involved with a dental exam. Most children love to ask, “Why?” and our team encourages conversations to build a better understanding of proper oral hygiene. As such, our patients are never rushed through an exam and are never treated as a number or a task; each patient is treated as an individual. We also take pride in using high-quality materials, which is characteristic of our high concern for exceptional patient care. Our team takes a rewards-oriented approach to children’s dental care and we have built processes that promote good behavior and a willingness to undergo regular dental check-ups. These methods include stickers, rewards from a treasure chest, a Brave Patient Award complete with pizza coupons, and goodie bags filled with dental floss, toothpaste, and Disney character toothbrushes. Having provided dental care in Moreno Valley for 20 years, Dr. Rocio Deza’s community is her home. Preserving the health of young community members is a paramount concern made evident by our commitment to children’s dentistry and involvement in community youth programs. At Dr. Deza’s Dental Office, we genuinely want to help patients and strive to create a fun environment that your children enjoy visiting. If you’re seeking a Moreno Valley children’s dentist, please stop in and say hello! Our staff is eager to serve you.